Apparently they needed a lot more clothing than me for their trip to Los Cabos, a place that rarely dips below 75F degrees at night. But extra baggage fees weren’t the real tragedy. I did the math based on current flight prices and where they said they were staying and figured their rare vacation was probably costing them at least $5,000. Good lord. I was just eavesdropping on this conversation while in the customs line at the airport, so I didn’t bust in, but I had so many questions I would love to ask. Like what are you spending all your money on that you can only take a vacation every four years? Why can’t you just take a shorter one every year within driving distance? 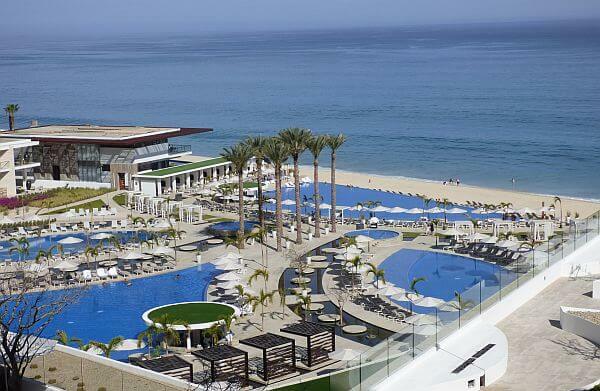 Or go to another destination that is a fraction of the price of Los Cabos? What do you do with all that saved up vacation time? Sit around the house and watch TV? I do stay at places like that as part of my travel writing job sometimes, on someone else’s tab, but there have only been a few times I’ve opened up the wallet to pay for them. Like most contrarian travelers, I know how to use a calculator and I know better than to follow the herds. I don’t assume that the way “most people” travel is the smart way to go. If a million people are willing to pay $500 a night for a hotel somewhere (in Los Cabos that won’t even be a luxury place), then I’m going to find the spot where I can get a similar experience for $100 a night instead. Those hotels are not hard to find. They may not have six pools with a swim-up bar and a room that’s bigger than your apartment, but they’ll be quite nice if you are in the right destination. Two weeks ago I was researching an article on hill stations in India and was finding big, nice hotels with pools for less than 30 bucks. In 2018! 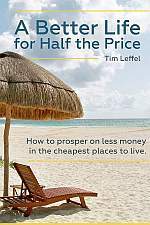 Even in Mexico, choosing Mazatlan or Puerto Escondido is going to chop your beach vacation budget in half compared to the top resort areas. Head into the interior and your budget can drop by another third or half. Head down to Nicaragua or Guatemala and it’ll drop again. Ease up on the star level of your hotel and the next thing you know, that $5,000 will last two people six or eight weeks of travel instead of six nights getting sunburned and paying for overpriced excursion tours. Hey, I do get the appeal if you just want to lay around and de-stress for a while. I’ve spent my own money on an all-inclusive resort that will make the family happy. Plus when I twice won stays at those kinds of resorts in Puerto Vallarta and Ixtapa, I was happy to accept. We had a blast and few things make me happier than a non-stop open bar. But if I had to wait four years to take a vacation just to get that kind of walled-off experience? No thanks. I’d rather take off eight times and ratchet back the marble and infinity pools. For a beach break that won’t break the bank, see this post on the cheapest beach destinations to escape to from the USA and Canada. 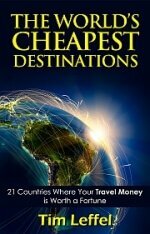 Travel Money Is Simply Priority Money Bucket List Attraction Costs at 15 Wonders of the World How Cheap is Mexico – Really? I’m with you on the financial piece. But most Americans don’t get much vacation time off work. If you only get ten days per year personal business, sick children and such can gobble them right up. Yet another reason financial independence is a Good Thing. Tim, all the things you suggested take some research and stepping out of the comfort zone of ‘perceived safety of high end resort solutions in well known destinations’ and this type of inexperienced travelers just isn’t willing/ready to do that. My other comment: As per Tim’s experience in the customs queue, I’ve long stopped making recommendations or observations to the folks you’ve described, Josh. Why waste my breath? I’ll settle for the obligatory face-palm. The word of the day for this piece is priorizes. I read a financial blog post about 6-7 years ago saying it is conceivable that a American middle class lifestyle can cost you $100,000. The average American can in-fact travel more if they really want too, they don’t really want to Tim. The cost of the above trip is seen as a deterrent from doing it more often. It’s how people sabotage themselves and blame others. In the last year I’ve spent 3 months in Mexico, 1 month in Kazakhstan, 2 months in Georgia, and am about to go to Kyrgyzstan. Haven’t spent more than a $1000 a month in any of them minus air travel. Have been comfortable and got to know locals renting out rooms and studios on Booking.com and Airbnb. But I have a pension income and don’t have to work. When I was maintaining an American lifestyle I was too exhausted and broke to do much more than go visit relatives. I traveled by taking job transfers around the U.S. and getting to know a new area. And these days many people work two jobs just to get by. It is a matter of priorities, but for most their family’s needs take up their time and money. Inconceivable to wait 4 years to travel/take a vacation. I’m a single mum and only work pt, but in the past four years we’ve been twice to Europe, twice to Malaysia, to Cambodia, Singapore, three times to Indonesia, and recently to Laos and Thailand. Trips range from 10 days to 7 weeks. This is perfectly possible if you make the time to do some research. I’ve never felt like I was disadvantaging my child by prioritising time and $ to travel – quite the opposite. Nor have we been uncomfortable, or stayed anywhere I’d consider unsafe. I’ve been tracking all my travel costs and I know that in Asia I can easily do $75usd per person/day including flights from Australia, without scrimping. We don’t do hostels or shared facilities by personal preference, but that would decrease cost again. We eat both local and at high end restaurants, take cooking classes etc. all included in this budget. 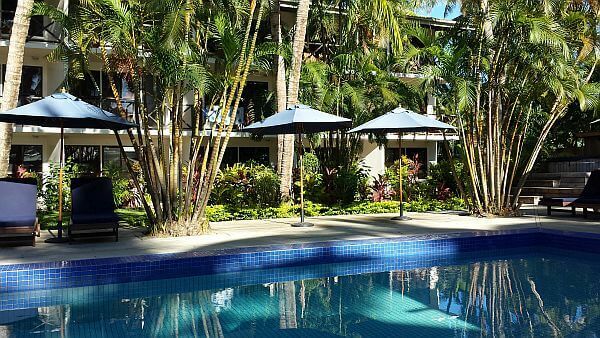 I’ve never stayed in a $1000 pn resort. Probably never will. But I’ll get one if not two trips each year!